The more oppressive the government, the more our unity and efficaciousness. Is there anything hidden by the RPF anymore? Yea, but those who fought for RPF no one left within the group without being oppressed. The RPF-Agatsiko Inkotanyi did not do any good to those who have helped them but to oppress them, to kill them, and to destroy them on the way to exile. The names are many, the list is too long to be written. There are plenty such as Valens Kajeguhakwa, Majambere and the Rwigara’s to name but a few. From the five richest men before 1994 Tutsi rebels in Rwanda by Habyalimana’s reign among those who helped RPF-rebels no one is to be seen anymore in Rwanda, and those that are alive are in exile. From the Hutus who helped RPF -rebels or worked in the first government after 1994 no one is to be found in the RPF by now, if he has not died he has escaped, or he is there suffering . Examples are many e.g. Kanyarengwe, Lizinde, Sendashonga and others. The others like the former president Pasteur Bizimungu , General Gatsinze are there without any particular authority and some had to escape in exile such Anasthase Gasana, Faustin Twagiramungu, BEM General Emmanuel Habyarimana and many more. 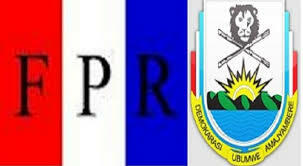 You will be seeing Hutu in the RPF government, but still they are Hutu of services, no power and indeed no decision. The same is found with the Tutsis who served as RPF partriotic members. Many of the RPF founders have escaped into exile or killed, the list is long but we give a few names such as Rujugiro, Rudasingwa, Col. Patrick Karegaye in charge of Exterior information, General Kayumba etc. One should ask this: if this has happened to those who worked with the RPF-rebels as founder members or those who worked in the RPF government, how do you hear happens to those opposed to the RPF aggression before 1994? As we are subject to one nation, one destiny, we , Rwandans in the opposition, the ones who created RPF ,or helped it or worked with it or those who were opposed to it at the beginning , have the duty of coming together. If not, the reward is the same: death, prison, oppression or exile. If it is you today it can be me or him tomorrow, it is a matter of time and at the end we are all concerned by the same fate. What kills others will not spare you. The way is one: to favour what can move us all ahead, to ignore what brings our differences and fight for our societal progress as a whole. To build tomorrow’s future is what should be our principles. To do so, we need to be quick, committed and work as a team with tenacity and integrity. The actual problem of refugees in Congo is subject to the RPF-Agatsiko’s plan from longtime.Thinking that it will not reach you maybe because you are in Europa, USA, or anywhere safe on this erth it is a big mistake. Even if it doesn’t happen to you it will happen to your children. That is why we have to fight any idea based on killings, this should be the first duty and responsibility of any political activist, any party leader and the idea should be enhanced by everyone. God will protect us from evil, the God of Rwanda will give us the courage to face tomorrow’s future with the Rwandans. The challenge we have now is the fight against the actual problem of the refugees in DRC, thus it is our duty to prevent the danger against their life. The inhuman treatment of the refugees reflects the injustice on international level and we have to propose the solutions, to act together and show our togetherness stand against the injustice. Creativity, courage and unity are more needed than ever before. Indeed the danger and the injustice are on our door for each one of us. The challenge we have is to come together for the fight against any injustice, and to build up the nation as whole for all Rwandans. It is our duty to fight a nation based on injustice and un-democratic principles.